Edge Essentials is designed and marketed by the LaCroy Chemical Company as the pheromone cologne that will make men more interesting and attractive to women looking for company. There haven’t been many customer reviews of this product, which makes it hard for men looking at this product to judge how useful it will be. The reviews that have been posted by users of this product also indicates that while some men did think it helped them meet more women, others are still wondering when women are going to notice the difference. 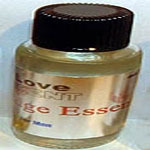 Edge Essentials claims to be a pheromone cologne that can help you attract more women in social situations. The facts seem to indicate that many men think this product might not be as effective as the seller claims. This is definitely going to effect the future sales of this product and we believe this product marketed as pheromone cologne could find it hard to compete in the months ahead.